Barring martial arts, American football is certainly one of the most violent sports out there. I mean, why would you go out of your way to tackle somebody at full speed when you know he’s running headfirst into you with the same idea? Broken bones sprained ankles, concussions – these are risks every player takes whenever they play. Thankfully, a wide range of safety gear has been developed over the years, taking past players’ mistakes and injuries and turning them into research for the next piece of lifesaving equipment. The ZERO1 is a new type of football helmet designed to absorb the impact of a collision by locally deforming itself like a car bumper. 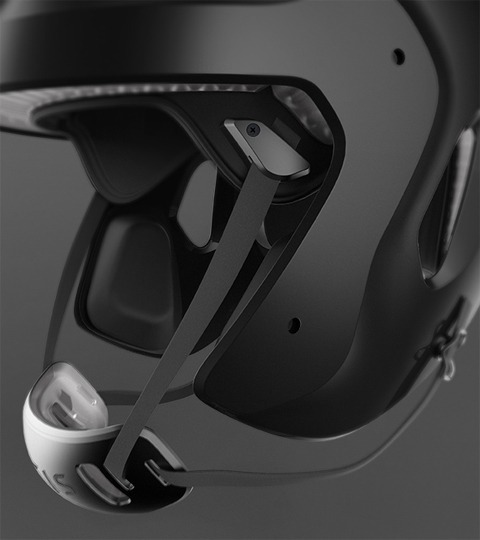 Created by technology company VICIS, the helmet takes a 21st century car impact technology and incorporate it into a nearly century-old helmet design. 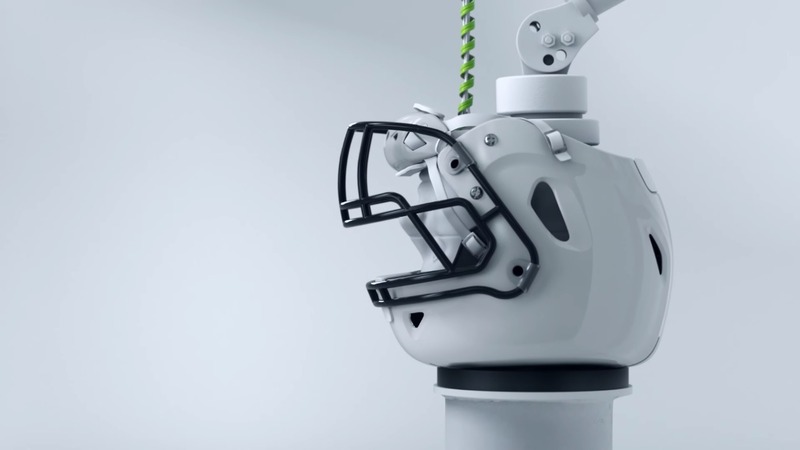 Unlike traditional football helmets, which stubbornly keep their shape while passing the impact onto a player’s head, the ZERO1’s outer shell (called the ‘LODE Shell’) folds into itself. This layer works with the VICIS Reflex – a second layer made from many columns which deform whenever external force is applied. It may not sound like a significant innovation, but this design choice adds a lot of shock absorption which could otherwise rattle a player’s brain and lead to dire consequences. To help with impact absorption, the chin strap is attached to the deformable outer shell as well as the hard plastic inner shell (called the ‘ARCH Shell’). Aside from keeping the insides of a player’s head from rattling, it helps provide a better fit while adding more visibility. While most of the inner shell is composed of plastic, a low-profile cushion called the FORM Liner is made of a softer material designed to be a sole source of comfort when taking an impact. And if a group of bloodthirsty linebackers ever manage to crack the ZERO1, the cushion can be easily removed to replace the broken parts. As you might expect, manufacturing this particular head protector took a ton of field research. 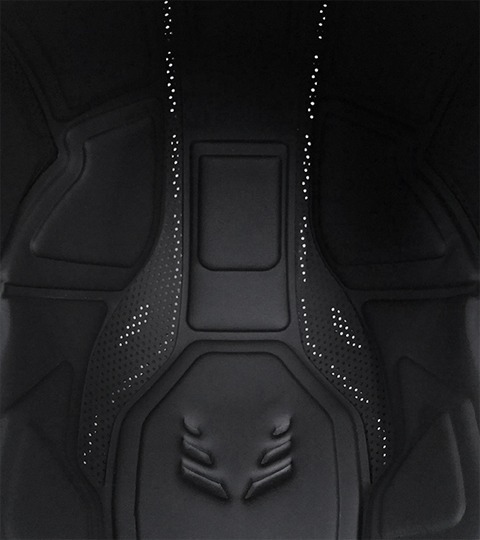 Safety, comfort, visibility – these factors and more were taken into consideration when making the ZERO1. 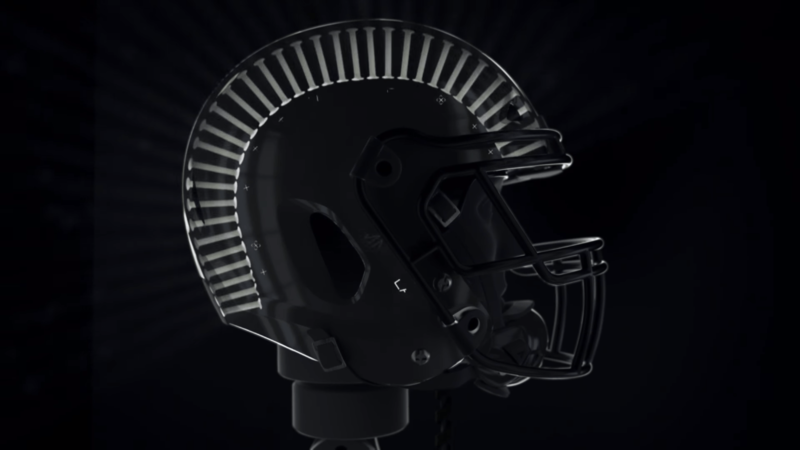 After talking to football players and getting their feedback on what they think makes a great helmet, VICIS was able to create a design which fit all of their criteria. You can find out more on this collapsible helmet over on the VICIS webpage.